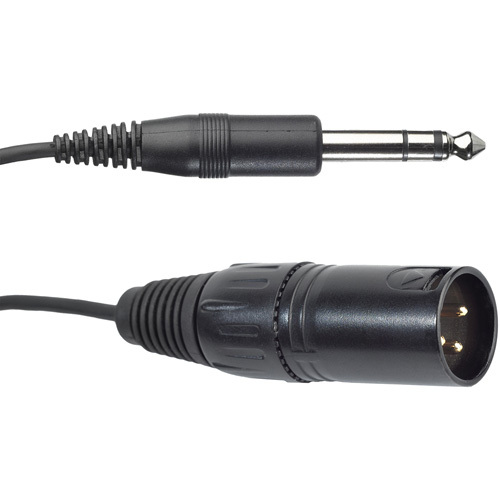 Headset cable for studio, moderators, commentators (three-pin XLR male). Detachable cable for AKG HSD Headsets with 6.3mm (1/4") stereo jack. No phantom powering required. Cable length: 1.8 to 2.5 m (5.9 to 8.2 ft.).